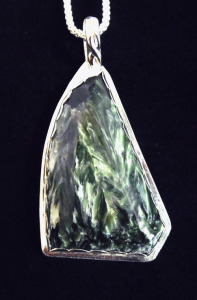 This lovely Seraphinite sail shape pendant necklace is wrapped in a Sterling Silver bezel. Seraphinite is mined, almost exclusively from the eastern Siberia area of Russia. It gets its name from the feather-like shape the raw rock. The name Seraphinite is take from the seraphims angels. 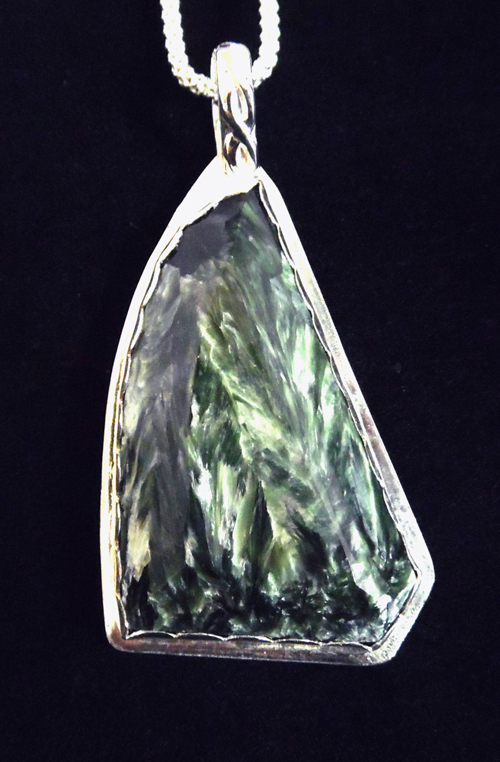 The stone possesses a deep, deep green color. This pendant is sold with an 18 inch Sterling Silver chain. $85.00 including free shipping within the US.